This is an excerpt from Engaging Babies in the Library: Putting Theory Into Practice by Debra J. Knoll (ALA Editions, 2016). Babies, toddlers, and care providers are only one set of many populations served by children’s librarians. Nevertheless, baby brain research has galvanized the profession to try to do more, and it has. Librarians are now beginning to realize the impact they have on a baby’s development can influence his or her developing brain for a lifetime, and they are doing whatever it takes to make these early years happy and positive. The stakes here are high. After all, these are human lives growing and developing very quickly. It makes sense for librarians to contribute to a baby’s brain development. Combining babies’ vigorous growth with widespread public library facilities has the potential not only to promote healthy development all over the country but also to exert a positive cultural influence on the youngest patrons. Why wouldn’t we want to be a part of something that meaningful? So what would it look like for every community to have a librarian dedicated to serving just infants and toddlers, another librarian for the preschool population, a third for the early grades, and even a fourth for the upper grades, similar to how public schools are structured? Such a library would certainly look more adequately staffed. But it is unrealistic to think that smaller or cash-strapped libraries can replicate this model, or that one or two librarians can do it all. However, if the profession does not take these issues seriously, it runs the risk of becoming irrelevant and ineffective. Serving all children in this way would be optimal, but given the knowledge of infants’ rapid brain growth, libraries should consider providing focused service most intensively to babies and toddlers. If children’s librarianship had it all—ample personnel, funding, time, and the strong support of the administration and the community—what could the children’s librarian bring to bear on the positive developmental trajectory of every child? More specifically, what if the vocation of librarianship allowed for a full-time position with fair compensation to exclusively serve babies, toddlers, and care providers? 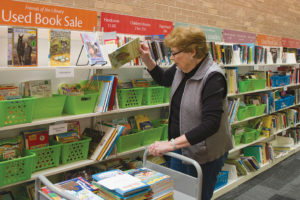 Librarians can easily or inexpensively adopt or implement baby steps to begin serving their youngest patrons, or big steps with further investment, support, funding, and collaborative efforts. Establish partnerships with hospital birthing units, introducing yourself as the baby’s first professional education provider and offering a small gift and the library’s contact information. Be available for spontaneous interactions that include infant play, book engagement, and conversations with care providers. 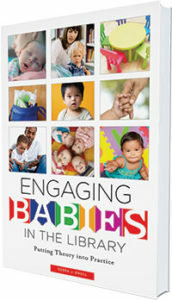 Advocate for the publication of books that will expand babies’ and toddlers’ growing vocabulary base. Create or provide programs specifically targeting this entire group with topics of interest to parents and caregivers, such as breast-feeding or nutrition as well as storytimes. Collaborate with public service providers for this population, attending professional meetings to stay aware of current issues and concerns. Join other community agencies, such as local service groups, faith-based efforts, and state and local job and family services departments, to reach out to this population through in-home visits. Mentor a librarian joining the ranks. 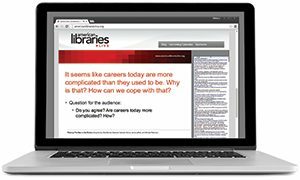 Explain various publications that will keep him or her informed of best practices, including those outside the field of children’s librarianship. Read more about the history of children’s librarianship—its heartfelt mission to children, how it has grown and changed over the years, and how it has succeeded so far—for fresh inspiration. Stay informed of ongoing child development research. Zero to Three is a wonderful gateway. Host a local services and health fair with professionals, intervention specialists, support groups, vendors, and other community entities interested in the welfare of families. Become involved in, or at least make yourself more familiar with, local and state children’s services agencies, faith-based services, or both. Visit an unfamiliar library. If possible, take a baby and a toddler. Experience the visit from the patrons’ point of view. Discuss your experience with staff members. Brainstorm how service could be improved. Send out invitations to young families not currently using the library. (Local faith-based groups, service agencies, and regularly attending library users can all be sources of referral.) Meet the families at the door and experience the library from the newcomers’ perspective. Adapt the courses of library and information study, perhaps even at the graduate level, to require library students to delve into such topics as infant and child development, family dynamics and diversity, emerging literacy, and basic social services. Take advantage of opportunities to remain updated through professional development not only within the profession, but also through extended education in such topics as autism, communicable diseases, developmental delays, and other issues. Advocate for the power that children’s librarianship possesses for this population, and for all children, at the state and national levels. 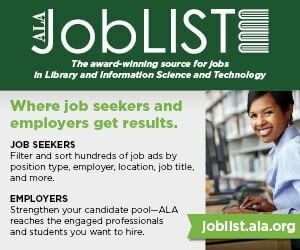 Hire a full-time librarian with child development credentials to provide quality service specific to babies and toddlers and in which outreach, programming, on-the-fly interactions, and connections are made possible. Children’s librarianship can thrive within an institution only through the defense, support, and dedication of a solid administration and board of trustees. Administrators, embracing such tenets as the ALA Library Bill of Rights and Code of Ethics, set the tone, level of professionalism, and quality standards and expectations for their individual libraries. Children’s librarians, and libraries in general, must broaden their thinking and consider methods for implementing real change. As advocates and supporters of these important library goals, dedicated administrators can raise the bar and lead the way for other institutions to follow in fully acknowledging this population, not only as future contributors to society but also as deserving human beings. The continuing claim of inadequate dollars is tiring. Money has been available for upgrading software, installing high-surveillance security cameras, purchasing pricey databases, and so on. Some of these expensive investments have come and gone and are now for sale at the Friends’ bargain table. Yes, it is important to keep up with the technological advances and all other wants and needs of a continually adjusting society. But those dollars are not always allocated fairly, and sometimes babies and toddlers are on the losing side of the funding equation. Administrators who truly respect and honor librarianship to babies, toddlers, children, and the families within their communities need to broadcast that message through better pay for children’s librarians. In the book Fundamentals of Children’s Services, Michael Sullivan reports that “children’s librarians make less than other librarians because they are children’s librarians.” Why? Is it because they work with children? Are the children themselves somehow less worthy of fairly compensated, quality service? At the very least, children’s librarians should be equitably compensated. The profession itself most certainly expects and maintains lofty standards for quality, well-educated professionals, and rightfully so. This should be even more the case when considering the complexities involved in serving babies, toddlers, and families. Support strict policies that mandate hiring well-prepared candidates. 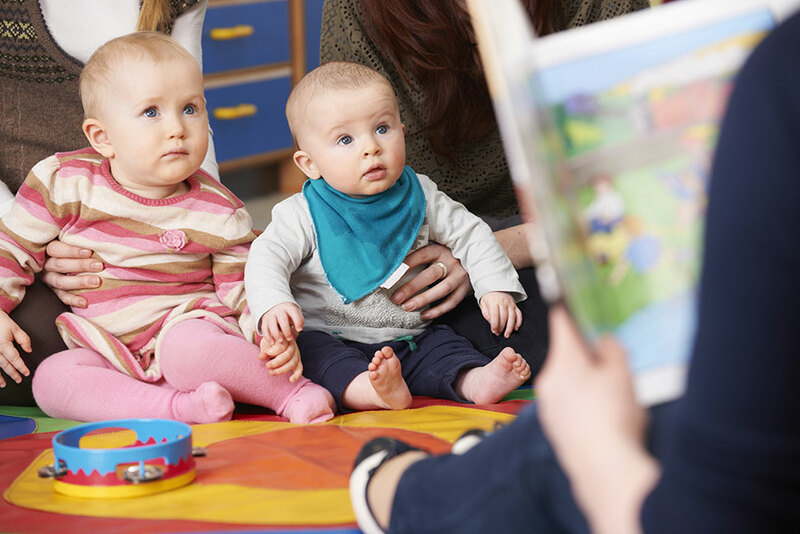 Help create the cultural perception of children’s librarians as first education facilitators for babies and toddlers, just as pediatricians are first health providers. Include children’s librarians in administrative meetings because they provide a voice for this population. Invite the children’s librarian and security and maintenance personnel to walk through the library, noting how the building itself is aiding or hindering service to families with babies and toddlers. Become more informed about children’s librarianship in general and service to babies in particular. Advocate for the profession outside the library, speaking highly of the value and importance of what children’s librarians do in general and what they are trying to accomplish for babies and families in particular. Interview staff members and evaluate their fitness for public services and behind-the-scenes jobs, perhaps realigning job placement to everyone’s mutual satisfaction. Use political clout to call attention to problems faced by families of young children and lobby for changes across the political landscape. Advance the work and the workplace of children’s librarians in the larger political arena, lobbying for change. Allocate commensurate funding to children’s services. Offer continuing education incentives to staff members who are willing to invest in additional coursework on the subject of human development. Respect for the professional standing of children’s librarians. Administrators are encouraged to review them and examine their library’s overt or covert prejudices. 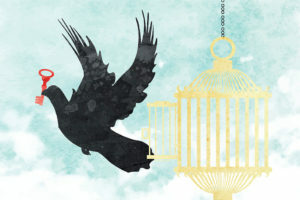 Recognizing the potential, the patrons, and the profession for all of their worth, and then truly investing in them, ultimately depends on the deeply held convictions and assertive actions of administrators. Babies, toddlers, families, and children’s librarians are counting on, maybe even crying out for, this deep level of support and commitment. The exhortation cannot be more heartfelt: Be the champions for these patrons and the librarians who serve them, on purpose. There are so many sociocultural issues affecting babies that providing library service for them needs to be taken seriously. Serving infants, toddlers, and their caregivers is a complex and serious yet delightful process but ultimately simple in its delivery. The problem is that quality service takes time, even if only in bits and pieces. And time is a precious resource for many librarians. It isn’t enough to devote time just to programming, although programs for babies and toddlers are very valuable. If it is to be truly successful, quality service requires the understanding and support of administration not only in hiring wisely but also in advocating for and maintaining a level of respect toward children’s librarians and the patrons they serve. DEBRA J. KNOLL is a former children’s librarian and academic instructor. Her research has focused on the development of infants and toddlers and its implications for children’s librarianship.